Avenue Center is being constructed in the Near Northside of Houston. Architecture: Page. General Contractor: Arch-Con Corp.
HOUSTON – (Realty News Report) – The Avenue non-profit organization has broken ground on Avenue Center, a new mixed-use community resource center in Near Northside of Houston. Construction was kickstarted by a $1 million gift from the BBVA Compass Foundation, which will create opportunities for Avenue’s comprehensive homebuyer education and counseling programs at Avenue Center. The three-story Avenue Center, 3527 Irvington Blvd., will feature 30,500 SF of community programming space including a health clinic, an early childhood education center and Avenue’s headquarters and realty office. In recognition of the BBVA Compass Foundation donation, Avenue Center’s first floor, which hosts programming and services in financial and homebuyer education, will be named the BBVA Compass Center for Financial Education when the development opens in early 2020. “Avenue Center will create ample opportunities for working families in this area to secure their financial health and prosperity,” said BBVA Compass Director of Communications and Responsible Business and BBVA Compass Foundation President Reymundo Ocañas. This latest funding milestone comes nearly two months after the City of Houston awarded $3.4 million in project funding for Avenue Center, which is located in one of the Complete Communities designated by Mayor Sylvester Turner. In January, Avenue was awarded $2.6 million from the Greater Houston Community Foundation towards the construction of Avenue Center. Those funds were part of a $6.5 million pledge from the United Arab Emirates to support Hurricane Harvey recovery efforts. Avenue is currently in the midst of a capital campaign which has raised over $3 million in additional funds for Avenue Center from organizations that include Houston Endowment, The Fondren Foundation, J.E. & L.E. Mabee Foundation, Green Mountain Energy Sun Club, The Brown Foundation, The Hearst Foundation, Trammell Crow Company, NeighborWorks America, Local Initiatives Support Corp (LISC), Amegy Bank, Marek Family Foundation, East West Bank and the Conely Foundation. 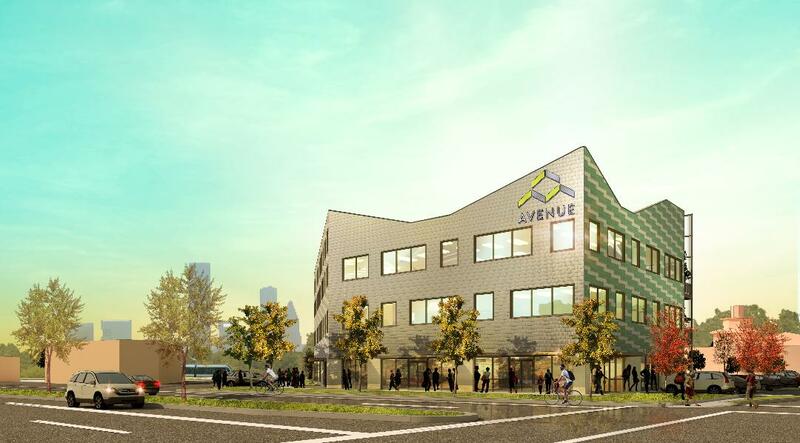 Avenue tapped multidisciplinary architecture and engineering firm Page for the design for Avenue Center, which is inspired by the vibrant cultural fabric of the Near Northside community as well as Avenue’s existing development portfolio. Arch-Con Corp. is the general contractor. Over the past 27 years, Avenue has helped revitalize Houston neighborhoods by leveraging more than $117 million in investments including the development of 200 single-family homes, 918 rental units and 140,000 SF of commercial space. Last year, Avenue was recognized nationally with the prestigious Jack Kemp Excellence in Affordable and Workforce Housing Award from Urban Land Institute. In 2017, Near Northside was designated as one of five pilot neighborhoods for Mayor Sylvester Turner’s Complete Communities initiative, which focuses on ensuring Houston communities have the quality of life elements needed for residents to live and prosper in their own neighborhoods. These elements include adequate access to healthcare, educational resources, healthy groceries, parks and green space, quality public transit and economic opportunities. The initiative seeks to address provisions for sufficient quality, affordable housing.